Has IDBI Home Loan EMI Calculator With Itself Your Dream Home Keys? Mulling a home loan from IDBI Bank? If so, then what is making you contemplate it? Is it its years of vigil in the banking arena and serving a wide clientele base or the interest rate charged by the state-owned lender? In our view, both are extremely important to run a smooth and friendly home loan journey that can span to as long as 30 years. In addition to these two, you need to properly understand the function of IDBI Home Loan EMI Calculator. It gives you an estimate of the cost which is likely to be the case over the period you choose to repay the debt. The calculator breaks up repayments of both principal and interest along the years. Plus, it also gives you the estimated outstanding loan balance at the end of every year till the proposed tenure. But, to get the result of the calculator, you need to enter online the interest rate along with loan amount and tenure. Now, IDBI Home Loan Interest Rate is charged on the basis of both 6-month and 1-year Marginal Cost of Lending Rate (MCLR), which currently stands at 8.50% and 8.75%, respectively. A spread gets added to the MCLRs to arrive at an actual lending rate. IDBI offers home loans under several brand names such as Plain Vanilla and NEEV. Vanilla loans of up to ₹35 lakhs, ₹35-75 lakhs and above ₹75 lakhs come at 8.55%, 8.70% and 8.80%, respectively. The rates can ease by 0.05% in the case of women and salaried customers. NEEV, on the other hand, is offered at 9.20%, 9.45% and 9.70%, respectively, for a loan amount of up to ₹35 lakhs, ₹35-75 lakhs and above ₹75 lakhs. 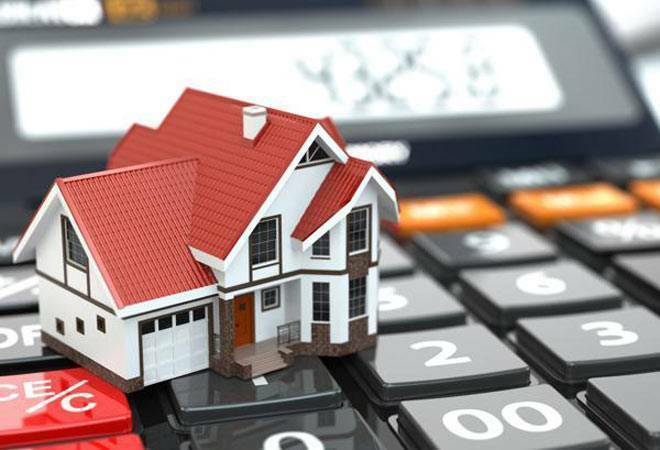 How Can You Use IDBI Home Loan EMI Calculator? The EMI calculator makes it convenient for you as it’s available online. All you need to do is to enter the rate of interest, loan amount and tenure in the calculator to compute the EMI, which stands for Equated Monthly Installments. At the same time, you must make sure the EMI does not go past 40% of your net monthly income even though the bank would not mind having so. You may face situations wherein paying the monthly installment can get challenging, if not impossible. And, if the level of EMI is beyond 40% or so, chances are that you may have to take help of others to avoid a default, which can have an adverse effect on your credit score if the instance is getting repeated regularly. Since a home loan journey at IDBI can be long, you better start investing now to see through the days when paying the EMI gets tougher for you. The investment yield can either help you pay the entire loan amount or a part of it. Even if the latter becomes the case with you, there’s not to feel left behind. With the reduction in loan balance due to part payment, you can get the interest reduced significantly over time. The processing fee is charged at ₹2,500-5,000 plus applicable GST.